I recently acquired a set of Turn A Gundam production materials: settei sheets, model sheets, etc. that were used as reference guides for animators. I’ve been trying to get a hold of Turn A settei for ages and have only just been able to track ’em down. Coincidentally, I also own a set from Reconguista in G.
There’s a lot of cool stuff in here and I wish I could take pics of them all, but that’d be too time consuming. Instead I’ve scanned what looked like the most interesting sheets to me. Following the break are rough explanations of these select sheets. Full Size. 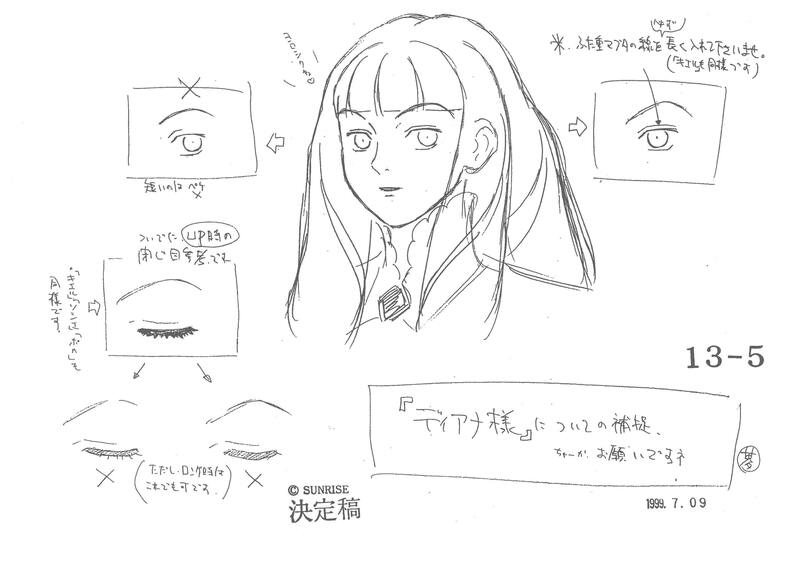 Design notes on drawing Dianna’s face, specifically her eyes, and comparing them to Kihel and Sochie’s. Full size. The Turn A’s computer manual. 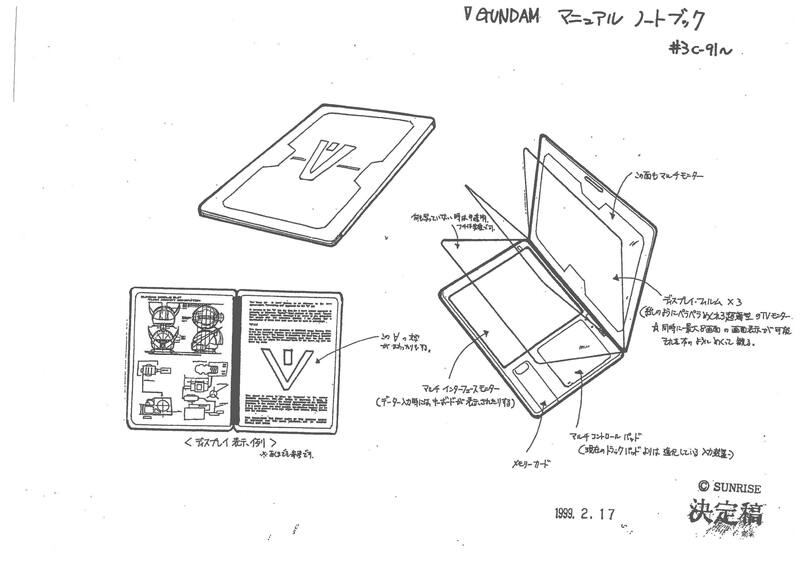 The sheet details how the manual has multiple screens and a keyboard hidden inside. Full size. 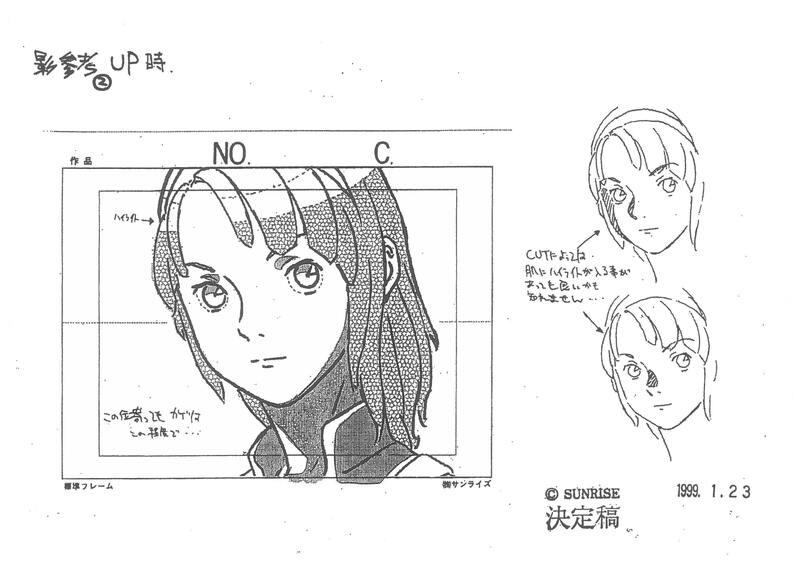 Detailing the shading to Loran’s face for a specific cut. Full size. 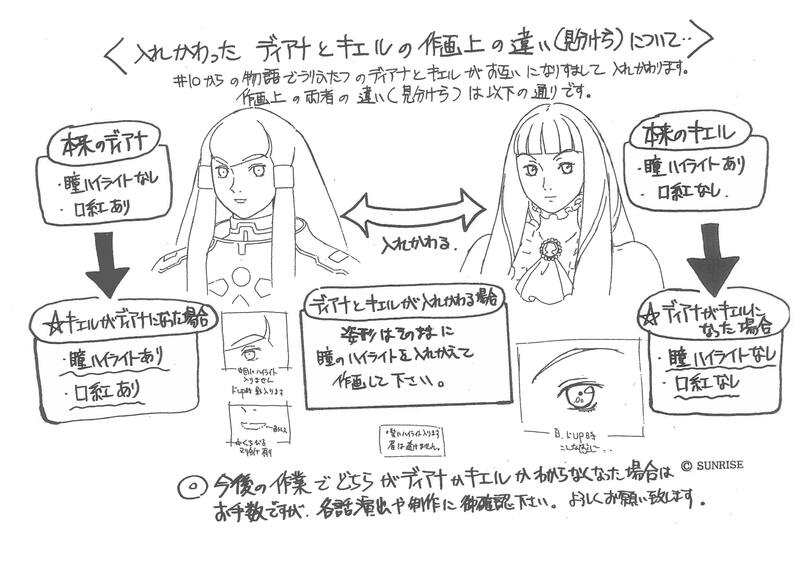 Detailing the design differences between Dianna and Kihel in order to make sure animators stayed consistent when they trade places in the plot. Little details like how Dianna’s eyes have a small pupil and no shading – so when she’s masquerading as Kihel she drops the lipstick but maintains the eyes. That’s all for now. I’ll try to get the full set scanned eventually, but I make no promises!